Tired of those pesky insects or mosquitos play havic to your backyard parties? 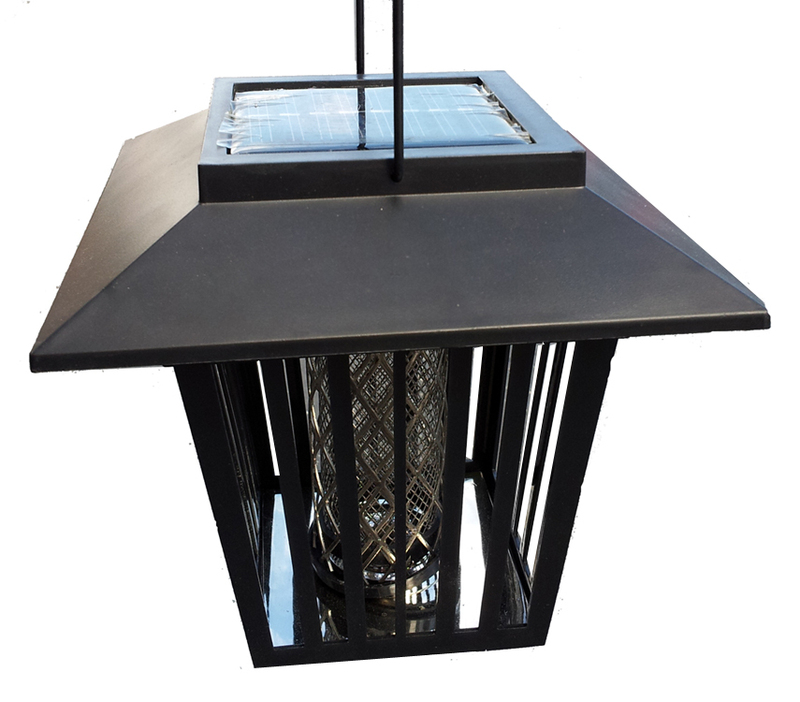 This decorative solar mosquito zapper uses the power of the sun to allow you to enjoy outdoors without the unpleasant smell of insect repellants or citronella. 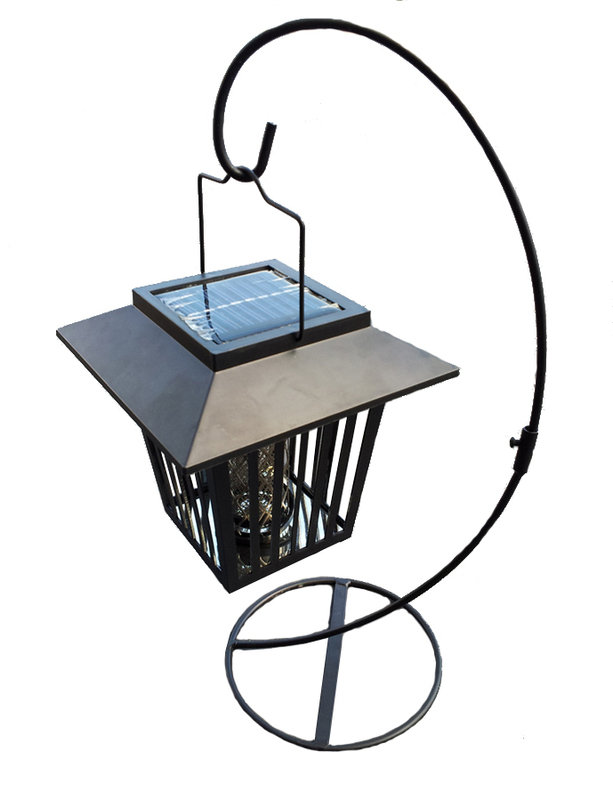 Set this solar mosquito zapper on your tabletop or any flat surface or simply hang from your porch, deck or tree for nighttime enjoyment. 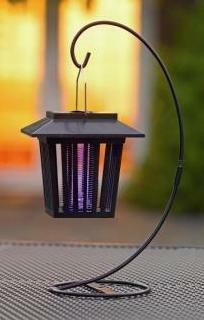 This solar insect zapper is easy to use, just place in full sunlight during the day, and then turn on at night. 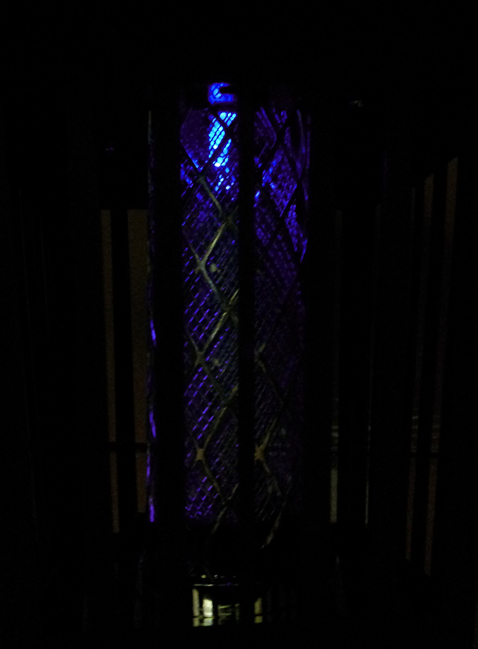 The 2 built in ultraviolet LED’s will attract the insects, then the high voltage metal net inside will quickly take care of these pests. Great for yards, patios, decks, camping, fishing or simply anywhere that you need to help rid the pesky insects. Easy to clean and maintain, just simply clean with soft damp cloth.